Malawi has vowed to crack down on street begging by arresting the beggars - who are mostly children and people living with disabilities. Malawi's Gender, Disability and Social Welfare Minister Patricia Kaliati told News24 on Tuesday that the arrests would also target parents who send their children to beg and benefactors who give money to the tramps. "Giving alms to street children and other beggars is a pull factor that has encouraged them to continue begging daily in the streets," she said. She attributed the problem of street begging to negligence of parents who fail to look after their children. Kaliati said parents and guardians should be arrested for breaking the Child Care, Protection and Justice Act of 2010, which lays a foundation for the protection of all children in Malawi. "The law is very clear. Parents should look after their children by protecting them from exploitation, abuse and even neglect. Anyone who neglects a child should be arrested because that person is committing a crime," she said. The minister added: "Those who are giving money to beggars on the streets must be arrested too because it is against the law. Let the well-wishers make donations to orphanages and vocational training centres." Kaliati said the ban would actually protect the beggars who were abused in various ways, adding that children who grow into the streets risk evolving into criminals in their adult life. According to a survey conducted last year by the Ministry of Gender in conjunction with a local charity, Chisomo Children's Club, there are 4 400 street kids in Malawi's towns and cities. The survey revealed that only 400 street children were genuinely homeless while the rest were living with their parents or relatives. A single street beggar in Malawi rakes in a monthly income of $220 (R3 300) or 150 000 Malawi Kwacha. Meanwhile, street beggars have protested against the ban, petitioning government to rescind it or offer them monthly stipends. 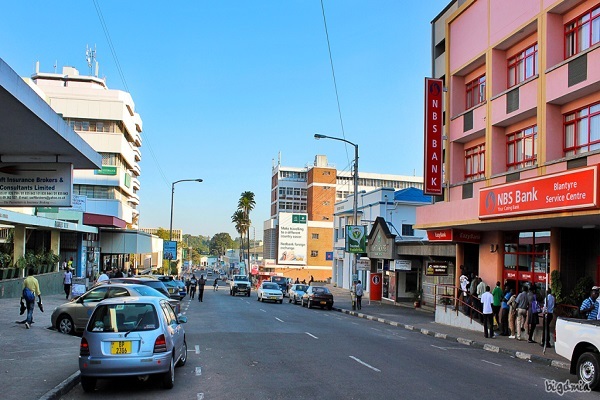 Mateyu Fabiano, a leader of street beggars in Malawi's capital, Lilongwe, in a meeting with Kaliati, asked the government to start paying them a monthly stipend of $75 (R1 130). "We survive on alms. Since the ban, we are suffering as we have no any other means of income generation," he said. But Kaliati said the beggars should enroll in vocational training institutions where they could learn trades such as tailoring and carpentry while young ones should go to orphanages. Grinding poverty, family breakdown and orphanhood due to HIV and Aids are among the factors that that force children and people with disabilities into street begging. Over 60% of Malawi’s estimated 15 million population lives below the income poverty line of $1.25 (R19) a day.